The University of Education, Winneba has organised its 21st Congregation Ceremony at the Winneba Campus. The four-day ceremony commenced on Wednesday 23rd November, 2016 and lasted till 26th November, 2016 at the Jophus Anamuah-Mensah Conference Centre in Winneba. The event saw to the graduation of a total of 8,578 students at various levels: made up of 927 Postgraduate students, 4,789 Bachelor of Education students; 2,779 and 83 Diploma and certificate awards, respectively. 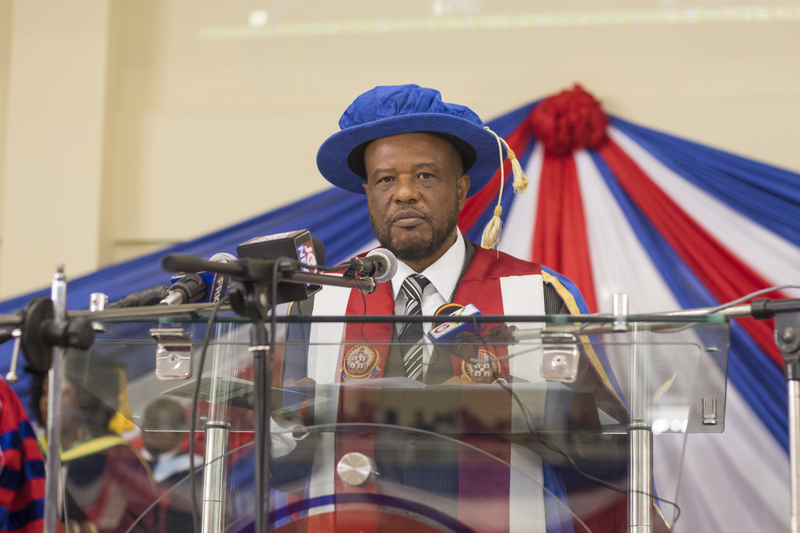 Delivering his address to Congregation, the Vice-Chancellor, Professor Mawutor Avoke stated that even though the number of graduands at the 21st Congregation had reduced by 7% as compared to the 9,258 graduands for the 20th Congregation(November session), the number of 1st Class students increased by 24%. Commenting on the research output of staff of the University, he indicated that a number of grants and awards have been won by the university to undertake various projects including: quality assurance evaluation of literacy and numeracy learning materials designed in eight languages (Dagaare, Dagbani, Gonja, Gurene, Kasem, Likpakpaanl, Ewe and Asante Twi) for the Complementary Basic Education (CBE) programme. He indicated that various new programmes such as M.Phil (Early Childhood Education) is currently running and heavily subscribed. He further indicated that the University projects to mount postgraduate and undergraduate programmes such as M.Sc. Agriculture Education and M.Sc. Environmental & Occupational Health, B.Sc. Natural Resource, B.Sc. Veterinary Sciences, B.Sc. Agribusiness Management and Entrepreneurship, B.Sc. Chemistry Education and B.Sc. Information and Communication Technology. He highlighted some of the University’s achievements in sports and education in the year under review. He stated that “the University’s sports team took the fifth position in the 8th All Africa University games held in Johannesburg, South Africa in July this year, after beating 30 participating institutions from South Africa, Uganda, Botswana, Kenya, Zimbabwe, Senegal, Burkina Faso, Zambia and Ghana. Speaking on developments in the Distance Education delivery, He noted that the University has mounted its Distance Education course materials (DE Application) on Google play store for easy access by its distance students. 1. Construction of GUSSS Hostels in Winneba and Kumasi. He expressed appreciation to the Government of Ghana, GETFund, Standard Chartered Bank, Vodafone Ghana and various stakeholders of the University who had contributed towards institutionalisation of various scholarship schemes in the University, also acknowledging their efforts in ensuring institutional growth and development. He advised students to put to good use the skills and training acquired during their stay and time at the University of Education, Winneba, urging them not to rest, instead set specific targets for further education and for their career advancement and family life. Constituting the assembly into a congregation, the Chairman of the Governing Council of the University, Professor Richard Tuyee Awuah, stated that Ghana must be put first before, during and after the election. He requested all to avoid actions and inactions that will retard and destroy the development of Ghana. The Ceremony was characterised by a Valedictory Speech delivered by the Overall Best Graduating Student, Yaya Kwaku Antwi from the Department of French Education with a GPA of 3.89 and a number of awards for deserving students and staff of the University including: The Vice-Chancellor's Outstanding Performance Award: Senior Member Category: Mr. Samuel Kwadjo Okai of the Security Services Directorate, The Registrar's Award for Best Graduating Student in Education among several others. 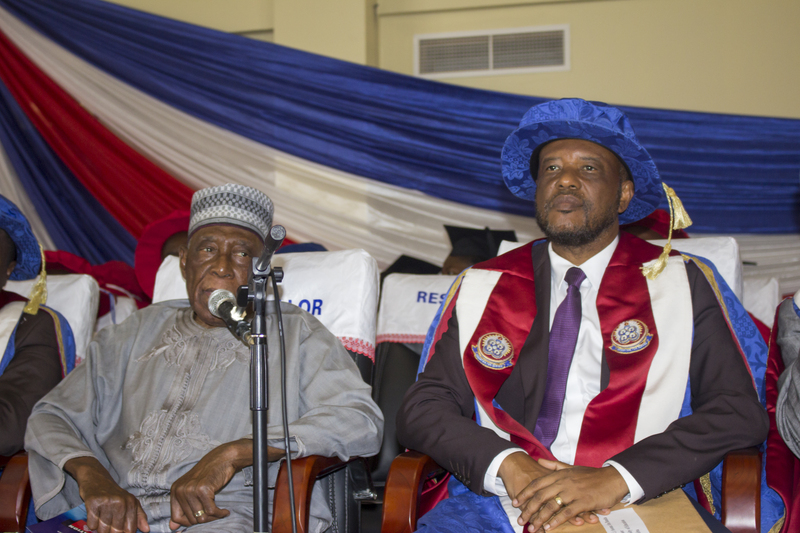 Gracing the ceremony were Vice-Chancellors and Registrars from Sister Institutions, Principals from the Colleges of Education, Principal Officers of the University of Education, Winneba, Staff and Students of the University.